The United States Government Printing Office (GPO) was created in June 1860, and is an agency of the U.S. federal government based in Washington D.C. The office prints documents produced by and for the federal government, including Congress, the Supreme Court, the Executive Office of the President and other executive departments, and independent agencies. The Code of Federal Regulations is a codification of the general and permanent rules published in the Federal Register by the Executive departments and agencies of the Federal Government. 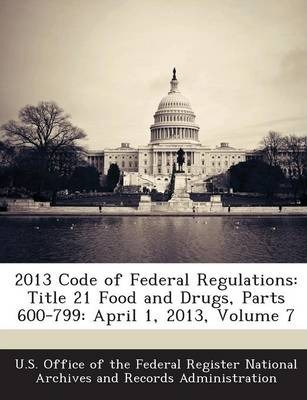 The Code is divided into 50 titles which represent broad areas subject to Federal regulation. Each title is divided into chapters which usually bear the name of the issuing agency. Each chapter is further subdivided into parts covering specific regulatory areas. This is one of those documents.